Which parts of Qur'an touch your heart the most? Greetings to all people of sincerity. I am 68 years old and will reach 20 years as a Muslim in a few months, alhamdulillah! I began studying Sufism (Islamic spirituality) through Catalan Catholic sources at 18. I had no formal religious education in childhood. My mother was Christian and my father was Jewish but they were radical leftists and that ideology was their religion and, at least publicly, mine until 1984(! ), when I was 35. In breaking with the radical left I came out regarding a long-standing fascination with religion. In 1997, at 48, I became Muslim. 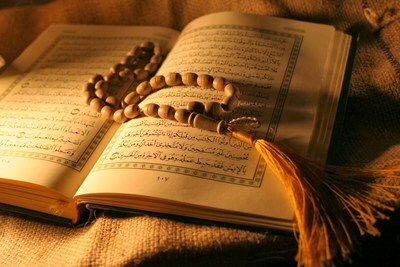 I pray and fast and read Qur'an daily. I think every believing Muslim would want to be asked and to answer this question. The message of Qur'an defines Islam. We love it as the infinite expression of divine generosity. We are enjoined not to treat it as a literary product notwithstanding its beauty, which is that of Allah, the only source of glory. I have often been asked what impelled my acceptance of the faith of Muhammad, peace be upon him. My decision came in Sarajevo, Bosnia-Hercegovina, in 1997, at the time of the death of Princess Diana, may she be rewarded. 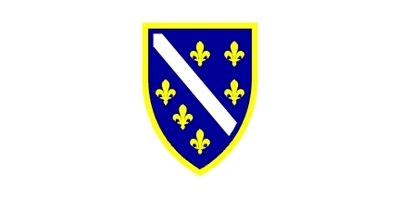 She was beloved in Bosnia. 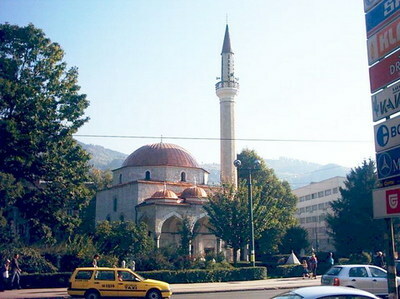 The Alipaša mosque in Sarajevo, which encompasses a cemetery for patriots. 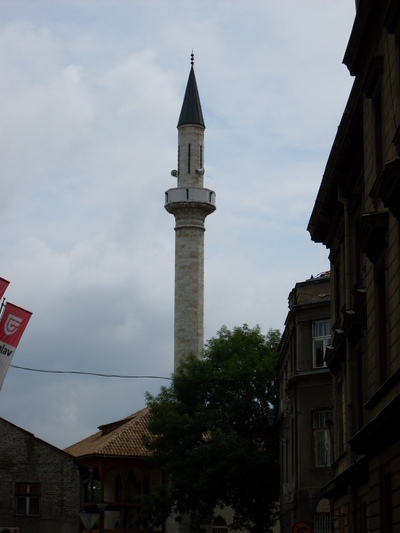 In 1997 in Sarajevo, among the scarred buildings and tormented people and forests of new grave markers and desecrated holy sites, I read surah 28 of Qur'an in the courtyard of the gorgeous classic-Ottoman Alipaša mosque. In verses 15–17 God recalls to us that after Musa (Moses), peace be upon him, has slain an Egyptian overseer who was beating a Jewish man, Musa prays to God and is forgiven for his sin. Musa then swears that because he has received God's mercy he will never serve an oppressor. Moses [Musa] Strikes the Egyptian. 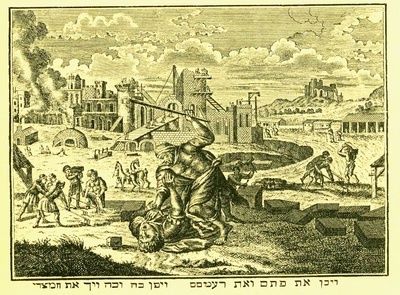 A common Renaissance illustration in haggadot, including many printed in Turkey, as well as in Christian volumes. I read that passage and realized I had found my religion. I have preached on this topic in some distinguished mosques, mash'allah. And Allah knows best. 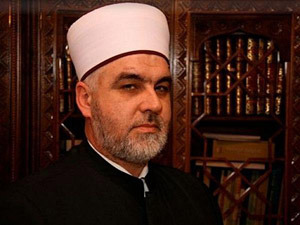 Bosnian chief Islamic cleric (reis-ul ulema) Husein efendija Kavazović.